Hey everyone! I’d like to wish you all a Merry Christmas! As usual, for those who celebrate, I hope you have a good Christmas, whether by yourself, or with family, friends, or both. It has been an interesting year for me on multiple fronts. In addition to the inanities of work, I had a mirror dropped in front of me this time last year and I didn’t like what I saw. I’ve made some improvements in different areas this year and Lord willing, I’ll be able to continue making more progress there and in other areas. Lots to do! 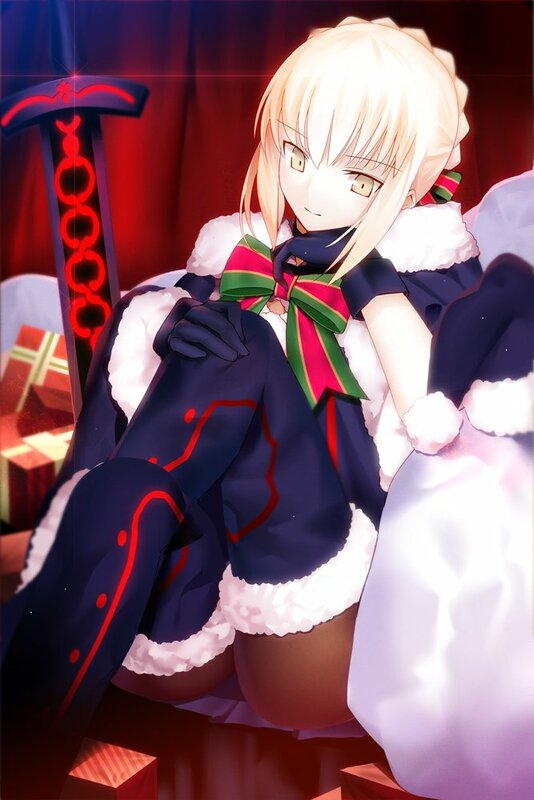 This year’s Christmas image theme is Saber, specifically Saber Alter. 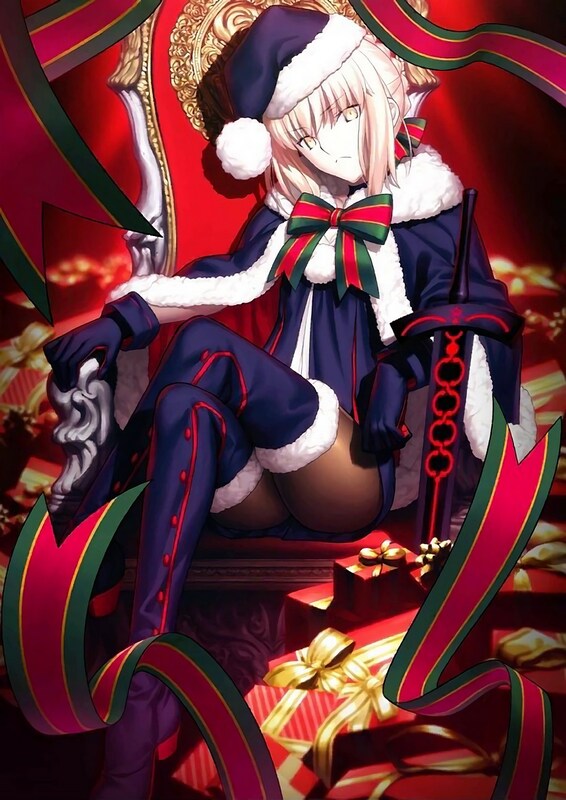 It is from the mobile game Fate/Grand Order. Unfortunately, but not surprisingly, the Japanese have not ported this game for fans who don’t know Japanese. As such, although the game looks interesting, unless you know Japanese, forget it. Just another tidbit. I saw Rogue One: A Star Wars Story. I plan to do what I did with Star Wars: The Force Awakens, only I’m not going to worry about keeping it spoiler free. 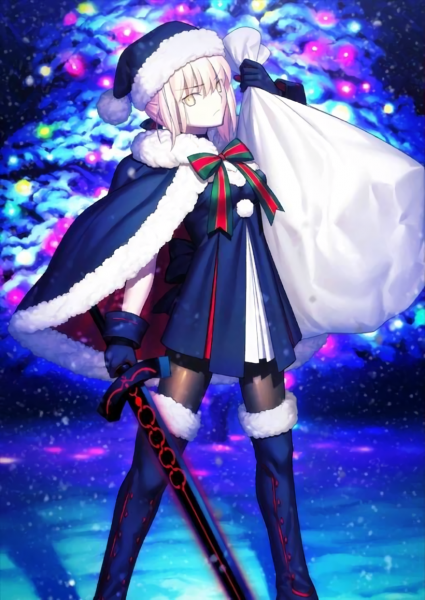 I think there was some news recently about how the companies were considering importing FGO due to its massive success in Japan. I don’t remember where I heard it from though, so don’t get your hopes up. Yeah, it would be neat if they could bring it over. I rather enjoy the Fate franchise. Would you be covering the Grand Order anime adaptation due to come out soon? If there’s a way for me to watch Grand Order, then I’ll episode blog it. ^_^ I missed the announcement that there was going to be an anime. Happy holidays, ANB. You do great work. Thanks! I hope you have a good new year as well!